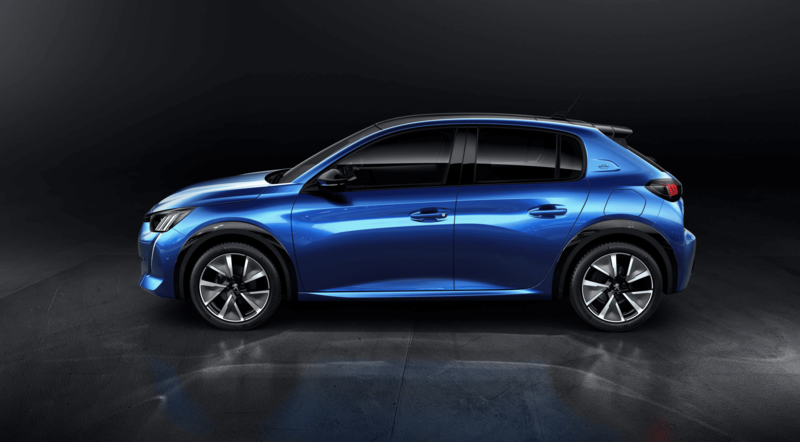 Think for a moment, recommends Iain Robertson, about how much automotive enterprise is employed to bring both petrol and diesel, as well as all-electric versions of a mainstream replacement model to market…Peugeot turns concept into reality! For years, certainly the past twenty, or so, I have nagged and nibbled at one carmaker’s heels, like an annoying combination of small child, dachshund and over-inflated automotive critic. When I was younger, Peugeot stood for something. Yes, it was French but it was built of stronger stuff. Its reputation, not just in its domestic market, was unbreakable. Peugeot was to France’s motor industry, as Mercedes-Benz has been to the Teutonic motoring scene. Then it became part of the PSA corporate group. Everything positive about the brand was shelved. It lost its sense of direction, not helped by the French government having a stake. Over the intervening period, it became a largely badge-engineered alternative to Citroen, which was not good. Yet, the brand has displayed some remarkable intuition, not least when it introduced us to its 205 line-up. Few models have made such a major impact upon their launches. The 205 transformed the image of Gallic compact cars. Dynamically unflawed, light yet resilient, stylish yet unforced and packaged with fun in mind, maybe Peugeot had not lost its mojo altogether? Through the next 206, 207 and 208 line-ups, variously criticised for ‘not being as good as the 205’, Peugeot’s small car range still satisfied innumerable parameters, not least in Coventry, where it became every bit as successful as we were told Nissan’s Sunderland plant had been. I was privileged enough to run a 207 for a full year test and loved every minute of it. Yet, the outgoing generation 208, as cute as it is, has lost much of the gamey appeal of the first 205 and gained a lot of bulk en-route. A new model is overdue and, being shown at March’s Geneva Auto Salon, its replacement has an almighty task to fulfil. It is there. The familial design connection. It exists in the C-pillar, where the model definition is now declared. Yet, in 208 terms, it is the only element of design carryover. The most recent ‘family look’, the ‘cat’s claw’ lamp signatures fore and aft, the ‘light bar’ across the full width of the rear and the wider front grille, are now shared by all of the latest Peugeot models. The style circle is almost complete. However, just for a moment delve into the all-new 208’s amazing interior but, first, remember this is a 2-0 model, not a 4-0, nor even a 3-0. The last thing I expected was a carryover from the 508, with a heavy concentration on its alloy-tipped ‘piano keys’ and twin screens, with a determined focus on the driver. Peugeot has effected a total removal from former PSA ‘numbness’. Okay, it has retained the critically received ‘i-cockpit’, with its Playstation-like teensy steering wheel rim, but it is the quality approach and on-the-money downsized luxury that will impress most. I am not and never can be a fan of the ‘i-cockpit’. It creates too many compromises for the tall driver. Its low-sited steering column, to give an over-the-wheel view of the digital instrument display, creates an accommodation problem. 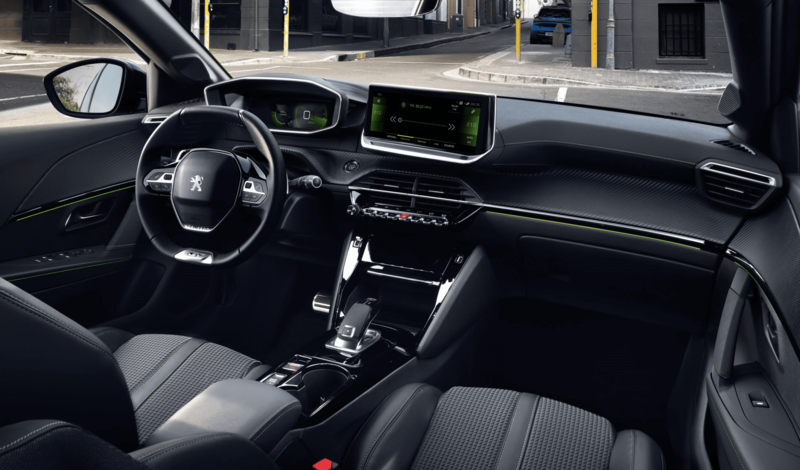 Having invested in and believing in its design precepts, Peugeot thinks that instrument faces being placed in the ‘wrong’ spots within the nacelle is the right thing to do. It is not. There is nothing natural about dials operating in an anticlockwise direction…that’s why they were called ‘clocks’ in the first place. Yet, it is the availability of fuel sources that provides a further example of automotive shock-and-awe. The sheer ordinariness, perhaps even audacity, of launching both fossil and EV-fuelled motive options, where the only key difference is a lack of tailpipe, is confidence inspiring to me. A 100kW electric motor charging a 50kWh battery pack provides a WLTP range of 211-miles (no range anxiety) in the EV version. Of course, while the true range is likely to just about top 140-miles, at least it can be trickle-charged domestically (3-pin plug), fast-charged at home (8hrs, using a wall-box), or supercharged at public EV points (80% in 30mins). Peugeot even provides as much mobility assistance, as it can, with diagnostic and assistance services, as well as ‘pass cards’ for charging devices. Running an e-208 should be a delightful prospect. The sole diesel variant is the familiar, 4-cylinder, 1.5-litre BlueHDi 100, featuring stop:start tech, 6-speed manual gearbox and Euro6d emissions; the engine being dosed with AdBlu for particulate removal and to ensure that it is as clean as it can be. The three-cylinder, 1.2-litre petrols cover 72bhp (5-speed ’box), 97bhp (6-speed manual, or 8-speed auto) and 127bhp (8-speed auto only) demands, all with stop:start technology. Factor-in the reduced body weight and optimised performance and you appreciate that the new 208 is not just more responsive than before but is also intended to keep the fiscal hounds at bay. Packed to the gunwales with electronic Driver Assist programs, including semi-autonomous adaptive cruise control, lane positioning, attention monitoring and extended road sign recognition, Peugeot is preparing us for the next stage in automotive autonomy, for which it is a more than willing partner. Personally, I have never seen a more comprehensively equipped small car ready to hit our roads and its head-up display, configurable touch-screens and even ‘hologrammatic’ in-car imagery are all available in model-dependent ways. 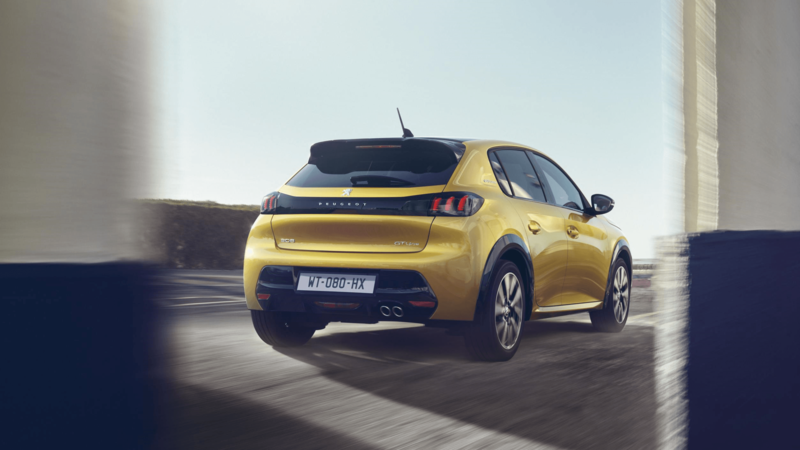 In one fell swoop, Peugeot has captured the motoring zeitgeist in the most competent and overarching manner, just as its earlier 205 model managed. This is the car that will shock observers at the forthcoming Geneva Motor Show, just as some other models from Peugeot’s past have also done. We are fortunate indeed to see it before the rest of the world does and it is sure to become as common as the 2-0 series of compact family cars has ever been. Conclusion: Peugeot assures us that prices will remain ‘keen’, despite the plethora of equipment, detail enhancements and connectivity options available on the new 208. Undeniably good-looking, unerringly attractive, keep your eyes peeled for the latest model costs; the detail information should be available in late-March.